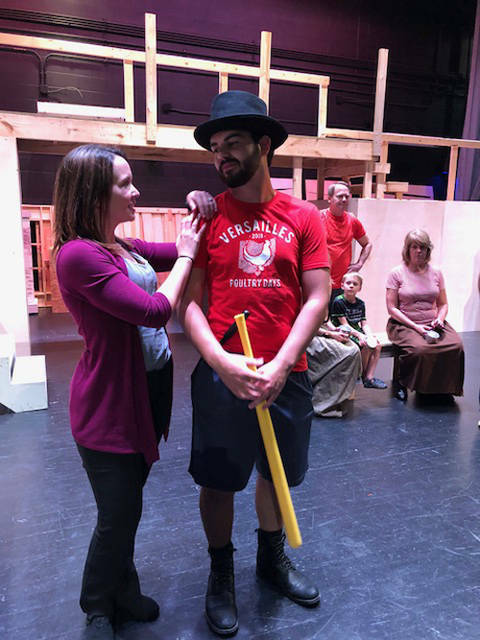 Mason DeMange, as Bill Sykes, and Erin McKibben, as Nancy, will be part of “Oliver!” at the Versailles Performing Arts Center. 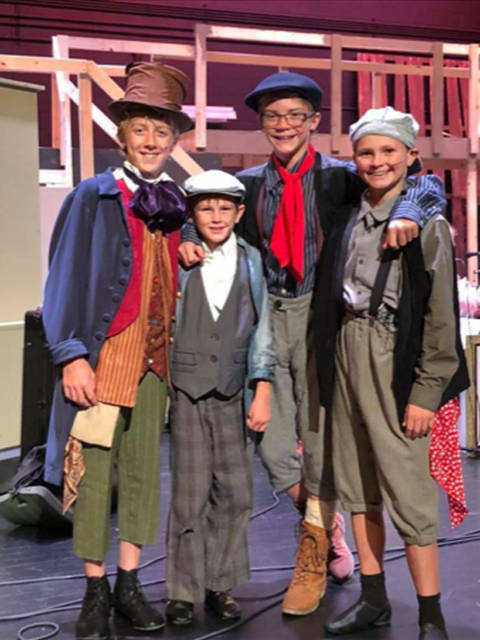 Zach Ahrens, as Artful Dodger; Keegan Rismiller, as Oliver; Evan VanSkyock, as Charlie; and Collin Rismiller, as Dipper; will be part of “Oliver!” at the Versailles Performing Arts Center. VERSAILLES – In two weeks, the Versailles Performing Arts Center will transform into 1830s London as a cast of nearly 90 takes to the stage to bring to life the timeless tale of a young boy searching for a place to belong and someone to love. Join Oliver as he encounters a string of curious, questionable, heartwarming and often rambunctious characters, including the infamous Mr. Fagin and his band of mischievous pick-pockets. “Oliver!” features a musical score that includes show stopping numbers such as “Consider Yourself,” “It’s a Fine Life” and “Oom Pah Pah!” The music will be brought to life by a 20-piece orchestra consisting of musicians from all over the greater Miami Valley area. The set features a 7-foot-tall bridge that spans the width of the stage and serves as a focal point throughout the production. Tickets for the show, which will be July 19-22 in Versailles, are available now by going to Towne & Country Players’ website, www.towneandcountryplayers.com, and clicking “Oliver Tickets” to reserve a seat for show. Babysitting will be available at the school during the Saturday matinee and evening productions (donations accepted).